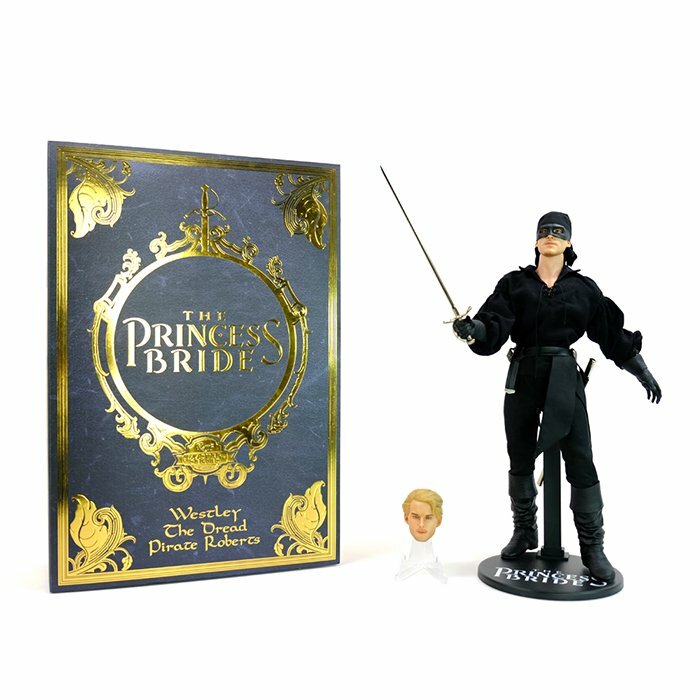 Of all the flicks that I remember from growing up in the 1980s, one of the best was The Princess Bride. 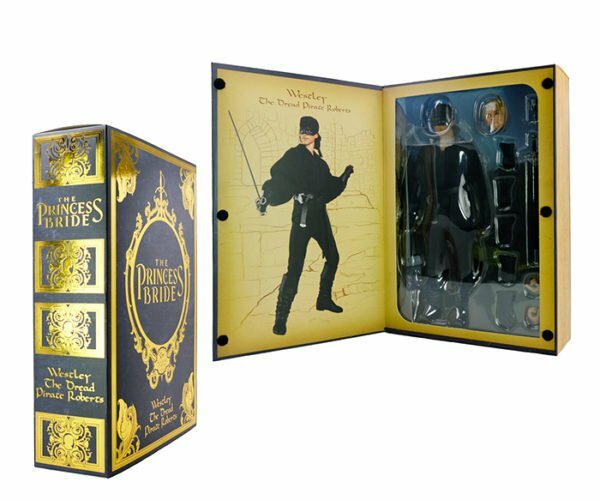 I’ll admit to not wanting to watch it in my youth because it sounded like a “girl movie” to my younger self. 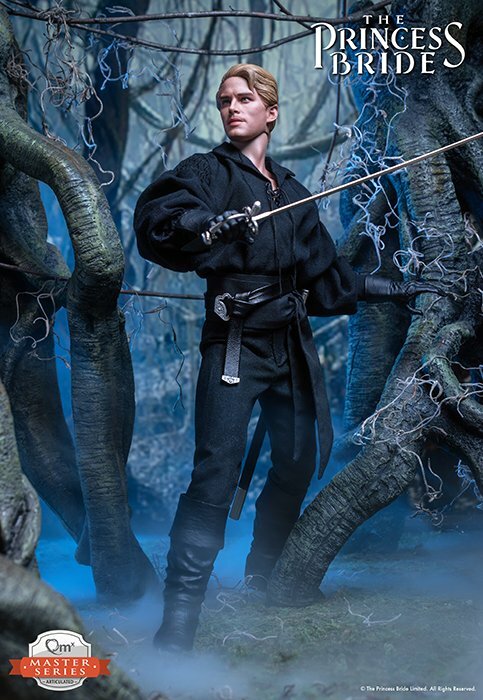 Once I watched it, it was fantastic – with giants, sword fights, and matches of wits. 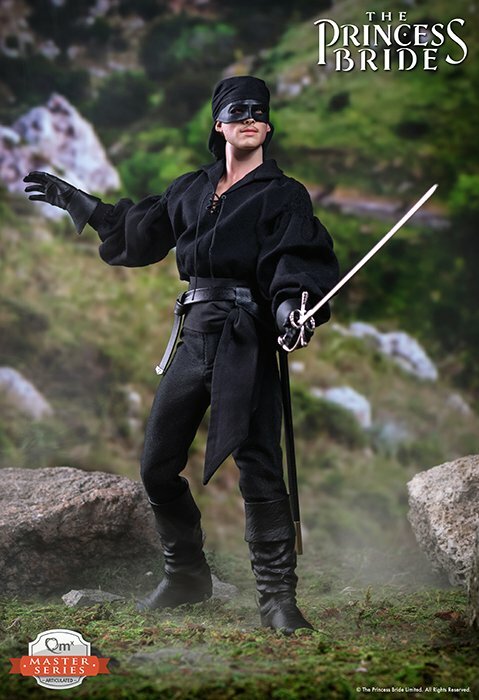 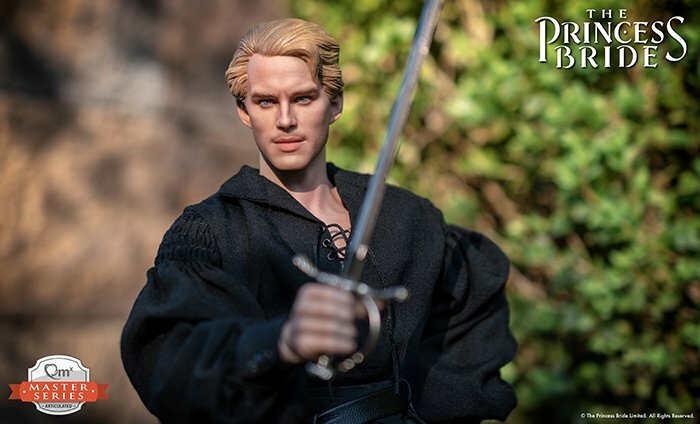 Fans of The Princess Bride will love this premium action figure of Westley as The Dread Pirate Roberts. 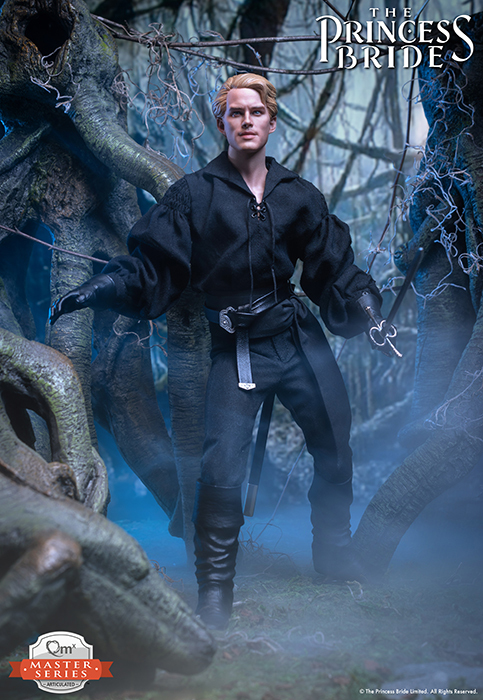 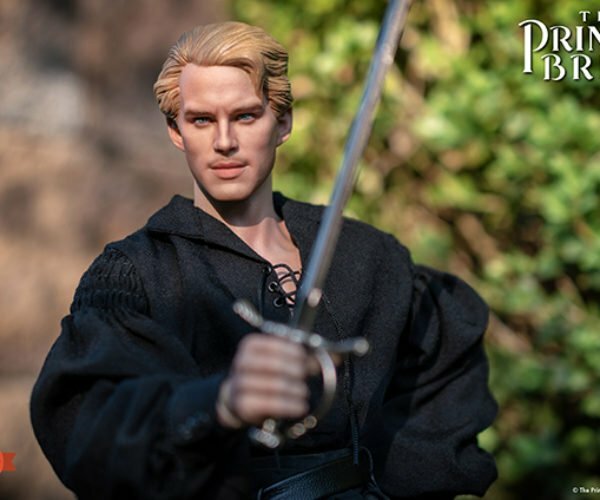 Standing 12.25″ tall, the sixth-scale figure looks just like Cary Elwes. 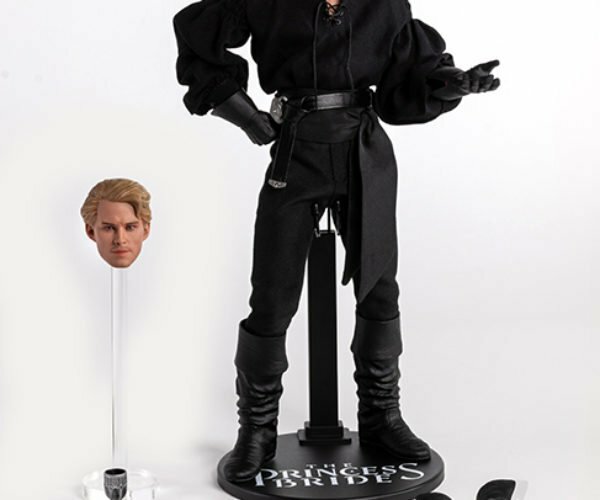 It comes with two heads: one shows Westley’s face, the other is Westley wearing the Dread Pirate Roberts’ mask. 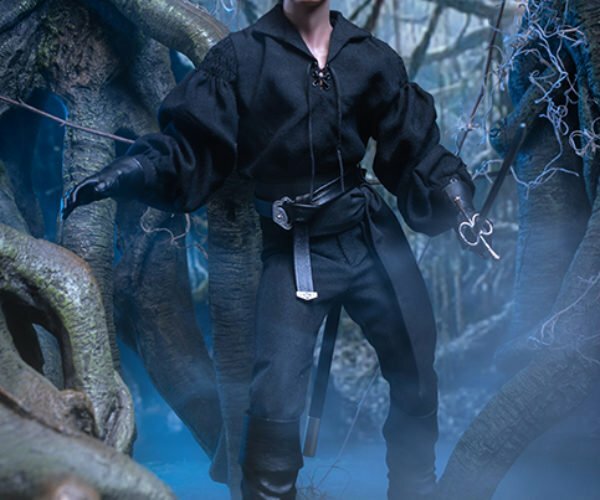 The figure has that bitchin’, but sort of pubey, mustache from the films and comes complete with his black pirate costume, sword, and wine goblet. 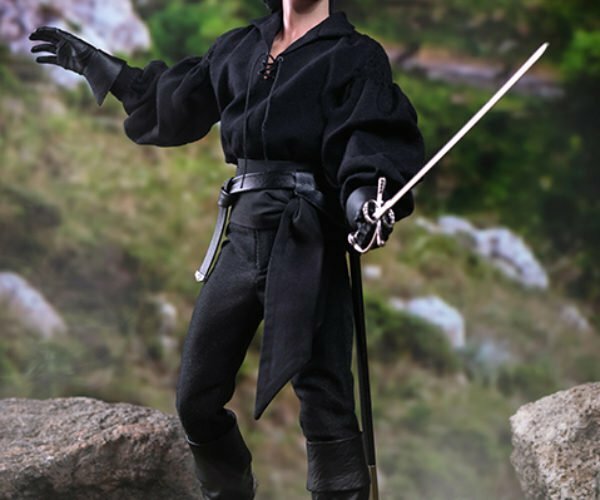 It comes with seven different gloved hands, and two bare hands allow for ambidextrous sword fights. 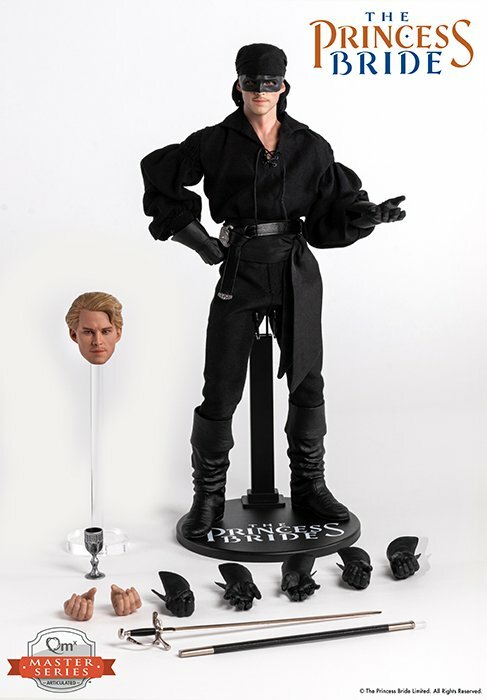 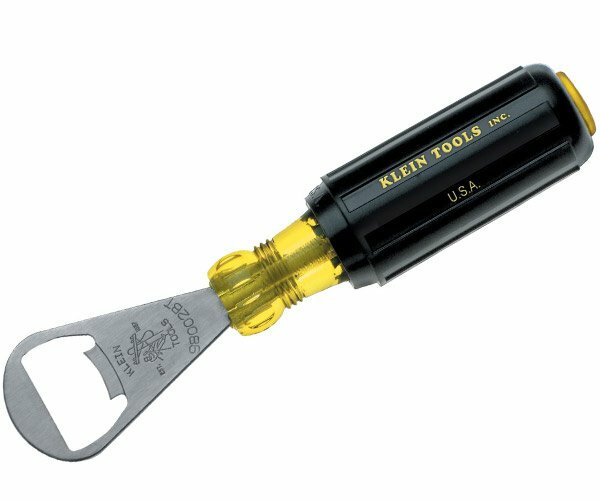 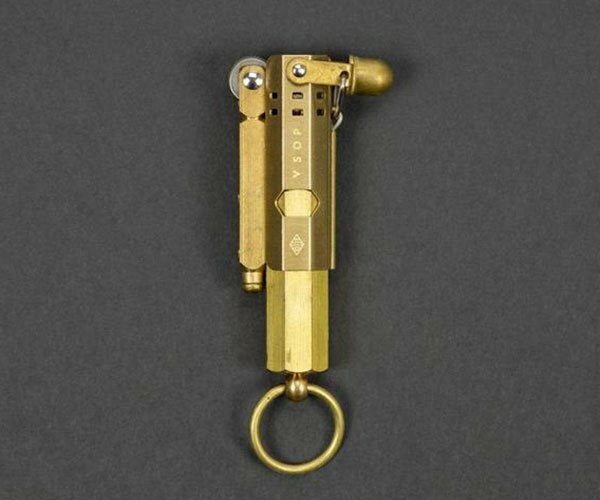 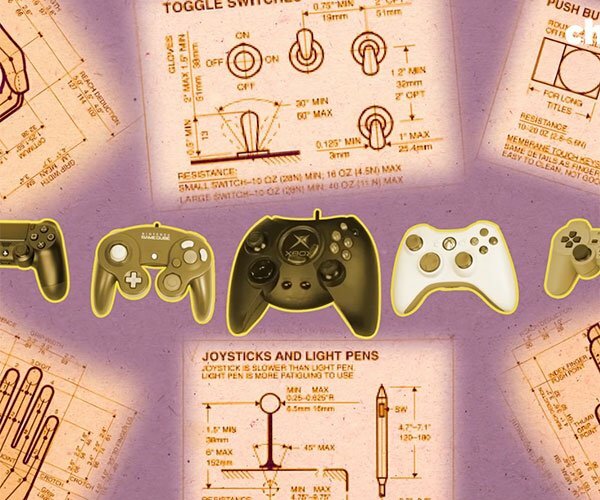 ThinkGeek will sell you one, as you wish, for $199.99. 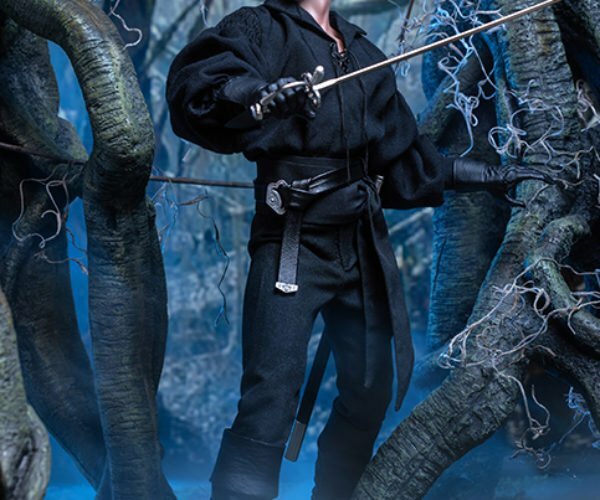 “The Predator” Minimates Revealed: Get to the Shoppa Cart!